Is Your House Cleaning Business Vulnerable? Who They’re For: Independent cleaners and businesses with workers; appropriate for new or existing businesses. 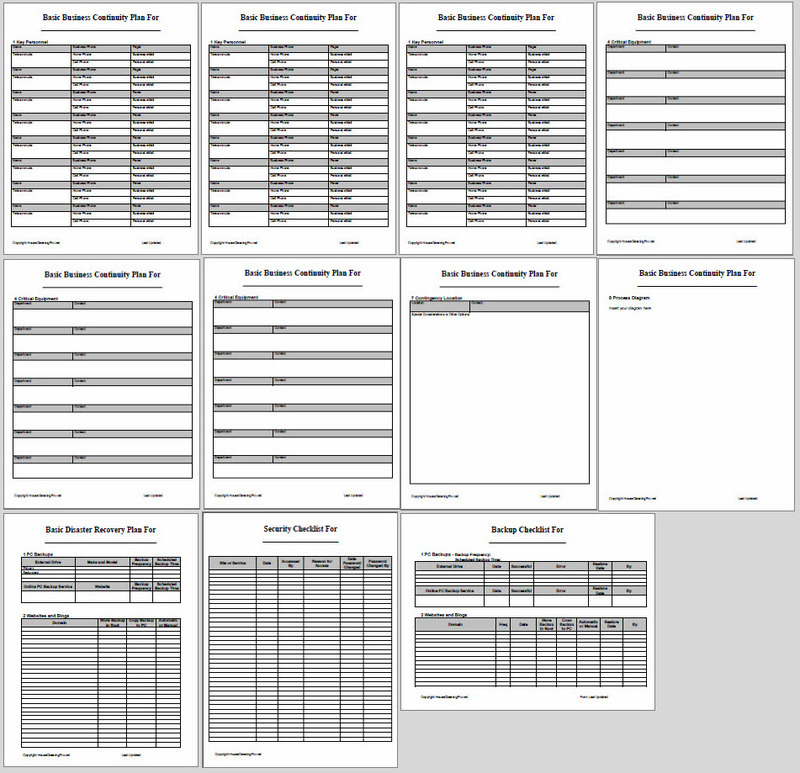 What would you do if you didn’t have access to your customer list? Could you recover if someone hacked into your bank account? 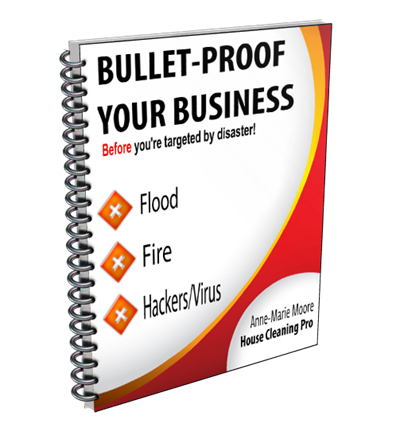 What would you do if disaster struck your city and your home or business office was wiped out? 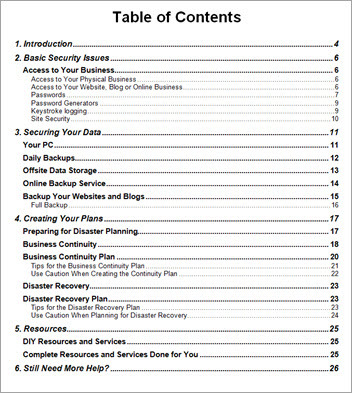 These are real issues that could wipe out your business if you don’t have a contingency plan in place. Don’t just read about what the risks are – you need to address all the vulnerabilities that exist in your house cleaning business! If you’re like most business owners, you don’t have time to figure this all out on your own. You have a business to run. 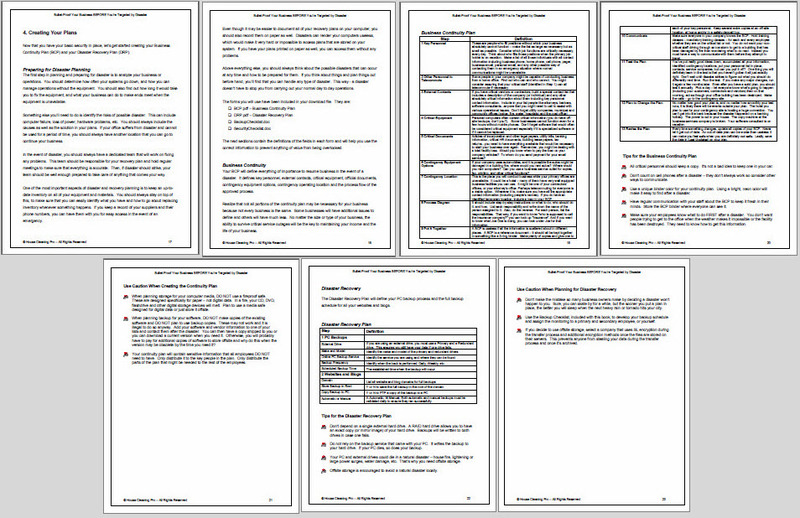 That’s why I’ve created the full report with solutions to the issues and a full system so you can implement your plans. It’s simple – just fill in the blanks. Once you have your system created, you’re covered. If you ever have to use it, all you will need to do is follow the information you have already defined and put away in a safe location. 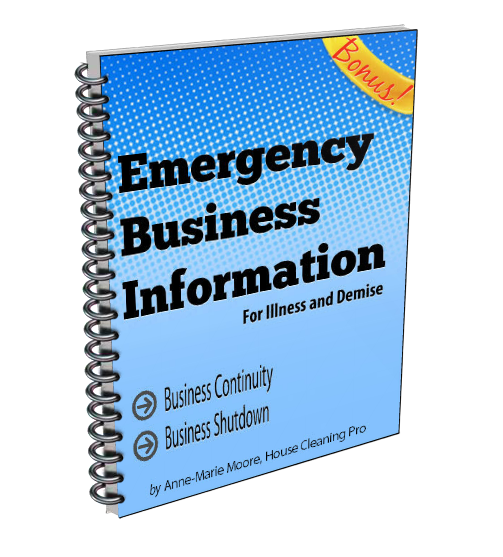 In addition to the Business Continuity and Disaster Recovery planning, I’m giving you an Emergency Business Information planning package so you have everything you need – no matter what size your business is. Not only do you need to plan for natural and planned disasters… have you stopped to consider what would happen if you became seriously ill – or – an accident resulted in your death? Who would wrap-up your business? You have workers and customers to think about. Someone would need to notify them and close your accounts. They can’t do that if you’re not there to tell them what to do! 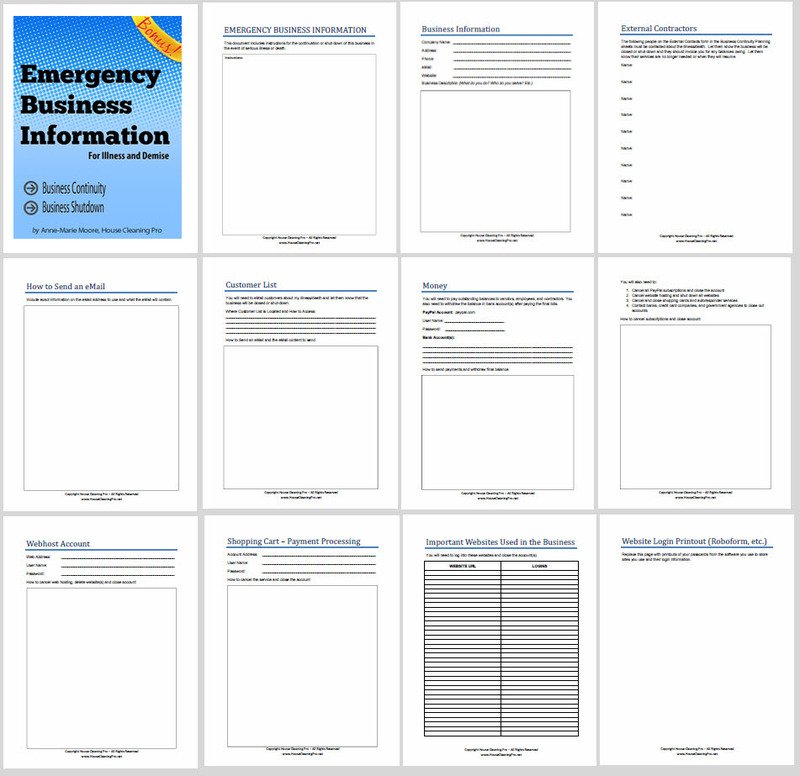 With my Emergency Business Planning package, you are COMPLETELY covered – no matter what happens to get in the way of your business.